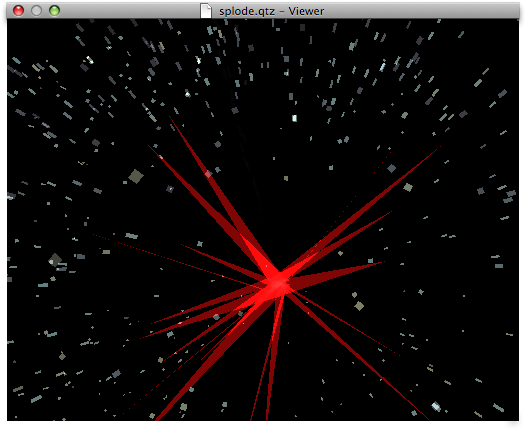 Some minor improvements to our Particle Tools. Fixed GL Context-setting bug that caused ParticleTools to crash in VDMX (and probably in a lot of other situations). Thanks to mrray and magnetmus for troubleshooting, and to cwright for the actual fix. Made some minor GL rendering performance improvements --- dropped some of the unused texture manipulation stuff, and took some other shortcuts. Enabled some additional compiler optimizations. Included both 32-bit and 64-bit versions of the patches. Some documentation is available here. ParticleTools only works in 32-bit mode.